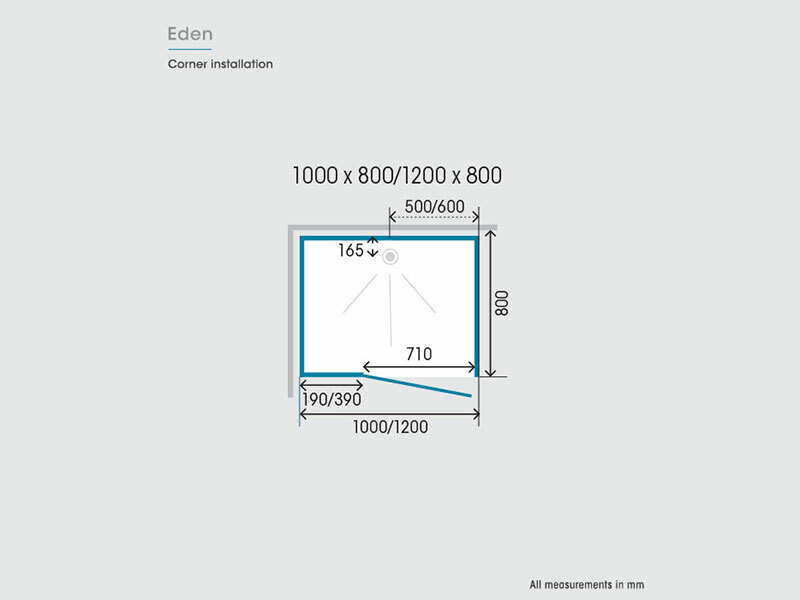 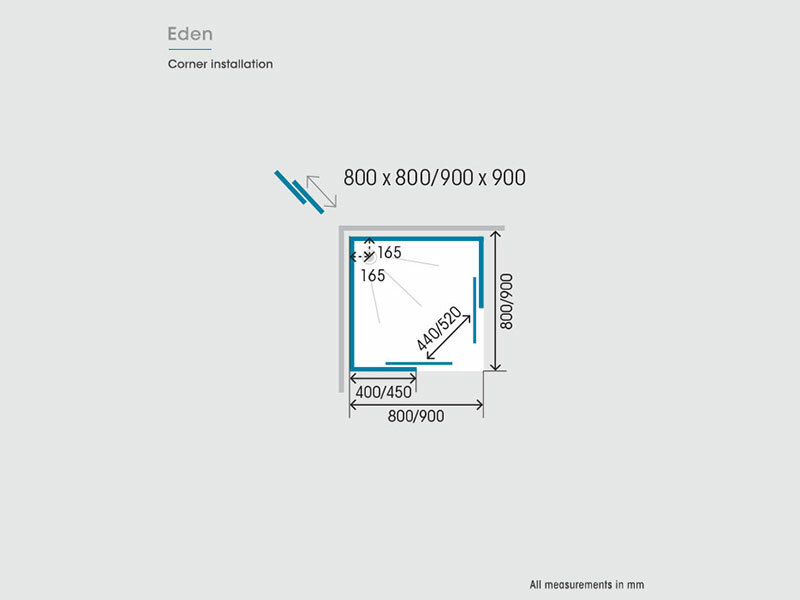 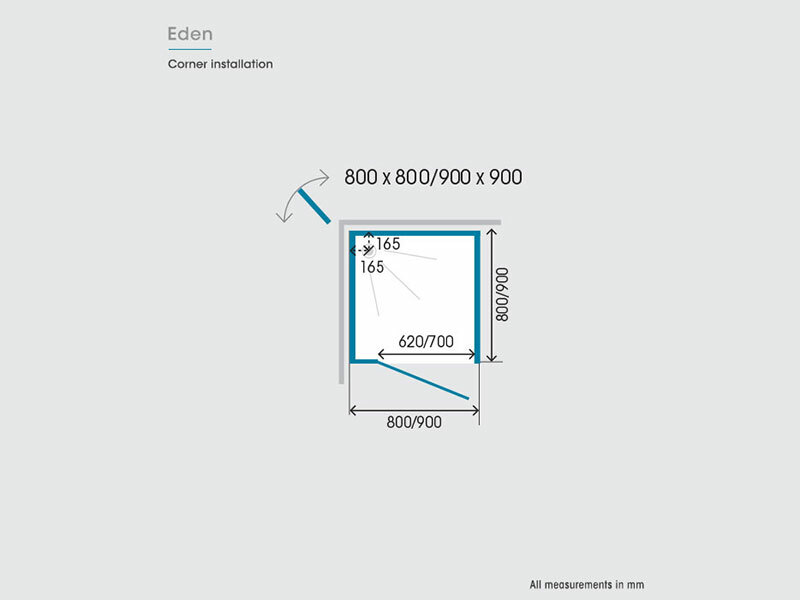 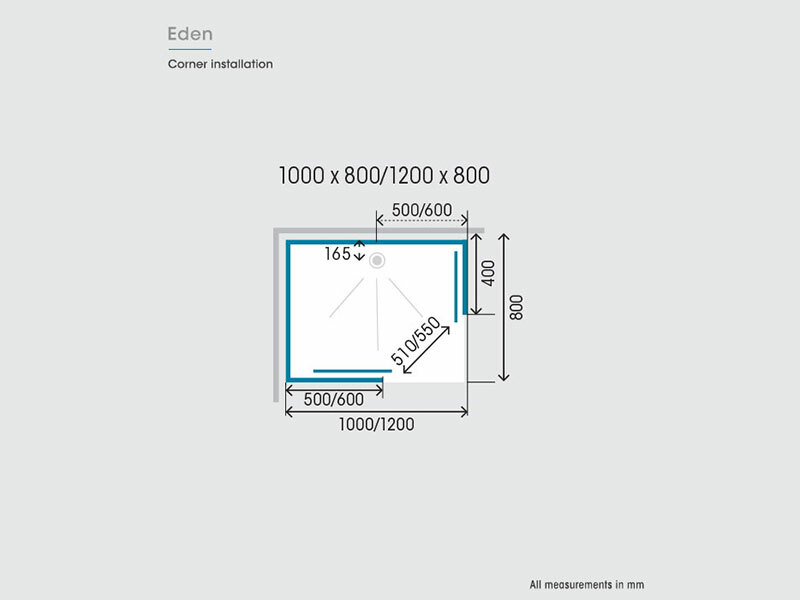 Kinedo Eden shower cubicles are the perfect solution when space is at a premium. 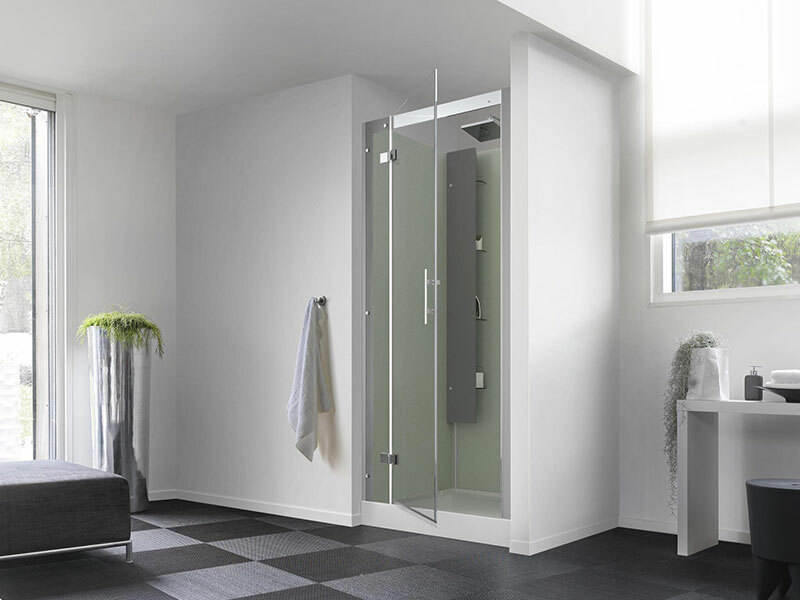 They add extra luxury with its stylish glass doors and opaque panels. 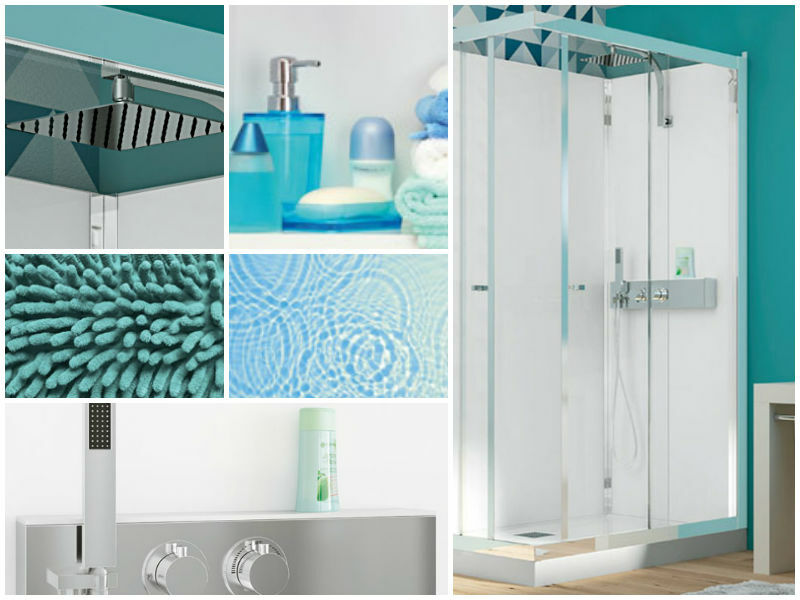 Polished chrome profiles also deliver a stylish finishing touch for any contemporary bathroom. 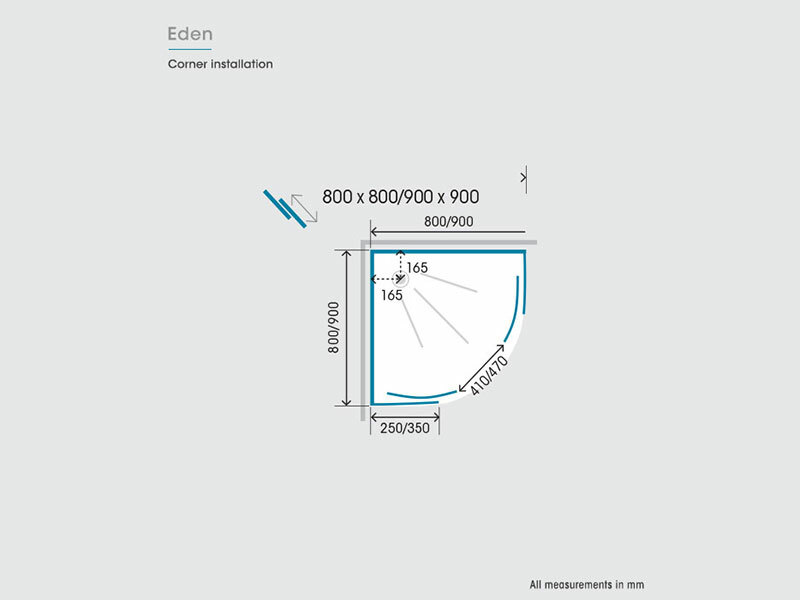 Manufacturer’s RRP from €2,022 to €2,577 – so buy here for BIG savings! 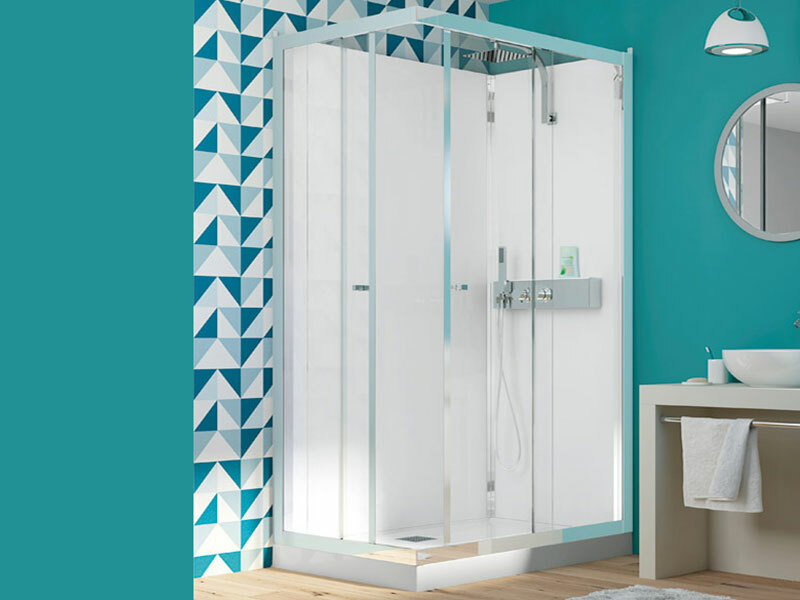 The modern design of the thermostatic shower, with a built-in shelf for soaps, shampoos, etc., means the Kinedo Eden delivers a clutter-free zone that makes optimum use of the showering space available. 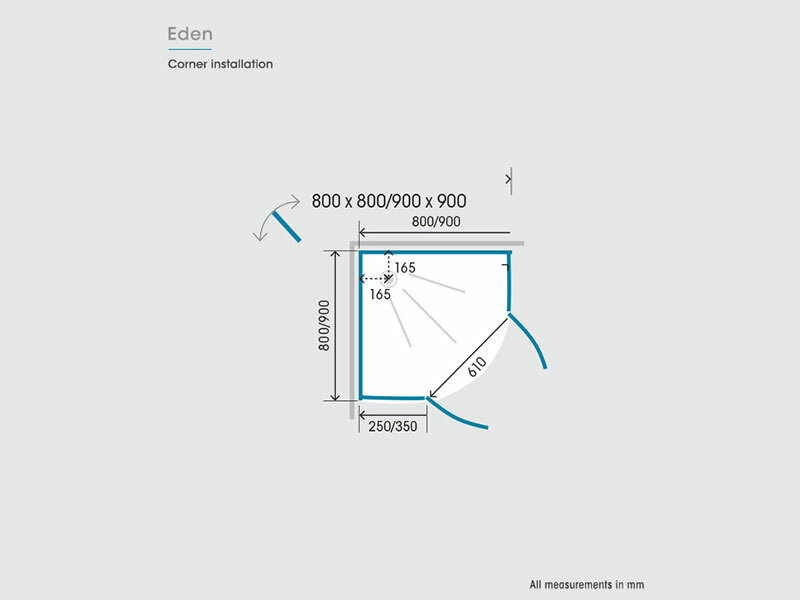 Kinedo Eden shower cubicles are suitable for corner installation, and comes with both sliding door and pivot door options. 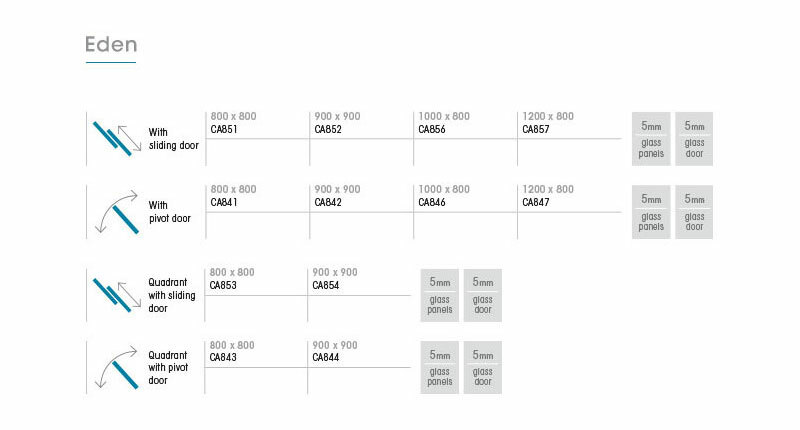 Twelve available options range in size from 800mm x 800mm up to 1200mm x 800mm. 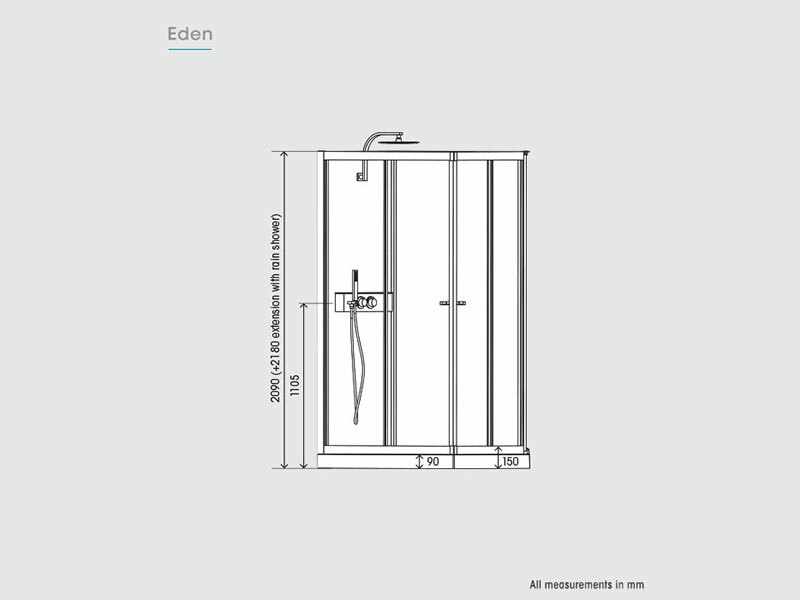 Kinedo Eden shower cubicles, along with all of our Saniflo Systems and Kinedo Shower and Bath Solutions, can be bought online with the reassurance of dealing with Ireland’s official Saniflo and Kinedo agent.